Connectivity is growing! Connectivity is growing! The Era Of Connectivity Is Upon Us And Growing! As part of SPARK Media’s ethos to continually share ‘Insights that Ignite’ to the advertising and marketing industry, their latest ROOTS cell phone and internet penetration data has come under the spotlight – with some interesting results. “ROOTS over the years has given us powerful insights into consumers at a local level, and as the world changes so do our questions,” said Gill Randall, Joint CEO of SPARK Media. “Although many categories and questions remain constant to enable trending, questions and categories are continually added in order to stay current. It is, of course, extremely useful to track and trend data. Internet access is rising rapidly across the country. Overall, between 2013 to 2016, internet access in the P4W (Past four weeks) has increased from 37% to 60% while the category ‘consumers accessing the internet several times a day’ has increased from 22% to 47%. Internet penetration is driven mainly by a young working population (20-44 years) residing in urban areas. Midrand now has 99% connectivity (up from 65%) while Polokwane East is up to 87% from 45%. Perhaps the most startling statistic is the Newcastle Metro which only had 33% connectivity in 2013 is currently at nearly 90%! As shown, we live in an era of connectivity! 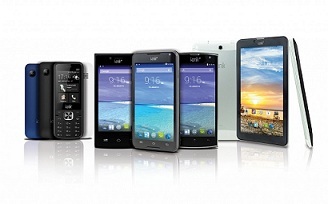 Devices have come a long way and their popularity can clearly be seen in the growth of the smart phone market. In three years, 33% up, to 80% penetration in this product, landlines have suffered as a result and with only 16% of homes having a fixed telephone. What do consumers do with all this internet penetration and connectivity? Well, 83% access social networks such as Facebook and Twitter and 40% do that every day. 70% use instant messaging or online chatting, 66% upload photos, videos or music, 65% send and receive emails and 55% read the news, sport or weather and 21% do this every day. Other activities include, the downloading of music or video files, watching videos online, searching for information online about products/brands seen on TV, purchasing or researching products online before buying them and using internet banking or a banking app. “It’s crystal clear that major opportunities exist for brands to engage with their consumers in a world that becomes more and more connected, particularly at a local level,” concludes Randall. “The data provides insights by category and area, down to suburban level, and that’s where the magic happens for brands! No one area or target market is the same. ROOTS 2016 data is available on Telmar, Nielsen, and 80/20 with top line research results on www.sparkmedia.co.za.